After getting its start in the PWC market, M&M Powersports & Marine has officially entered the UTV segment, supplying parts to dealers and consumers worldwide. 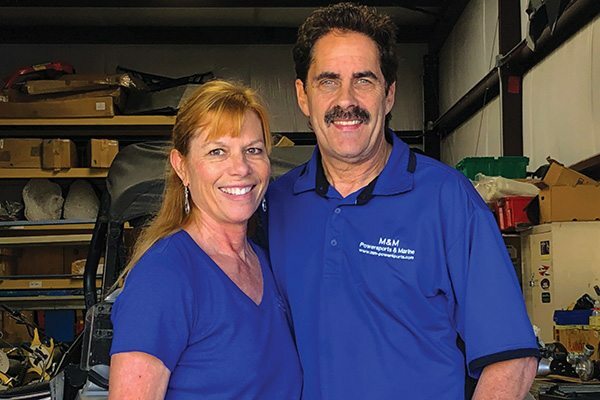 Using experience and connections gained working within the industry since 1984, M&M Powersports & Marine now offers a wide variety of used and “new old stock” parts to many of the same powersports dealers and repair facilities. In addition, M&M buys NOS parts that many times have been stored at dealerships for years, providing dealers with additional income. Powersports Business assistant editor Kate Swanson caught up with founder Mitchel Miller and marketing manager Michelle Miller to discuss the company’s decision to add UTV offerings. Powersports Business: After 33 years of solely offering PWC parts, you’ve now added UTV parts to your business. What led to this decision? M&M Powersports & Marine: We chose to expand our business because we wanted to tap into another segment of the powersports industry and we wanted to increase our year-round sales for the business, which the sale of UTV parts allows us to do. 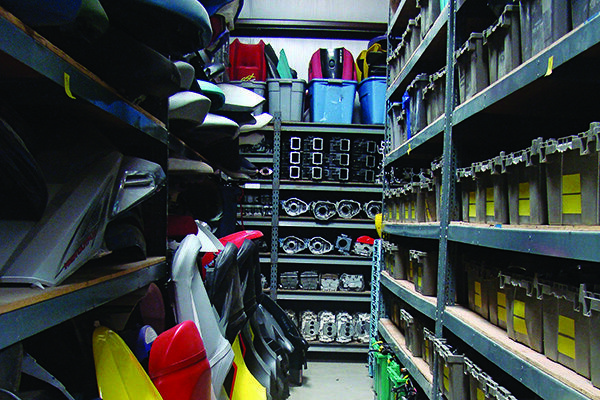 PSB: You carry UTV parts for Can-Am/BRP, Kawasaki, Polaris, Yamaha and Honda. Have you added any other brands? M&M: We have added Textron (formerly Arctic Cat), John Deere (which includes Kawasaki engines) as well as Argo UTV parts to our current offerings. PSB: Your business offers new and refurbished parts, do you also offer local service or repairs? M&M: We do not provide engine repairs, but we do offer fiberglass and gel coat repair services for personal watercraft, as well as small boats in northern California and western Nevada. 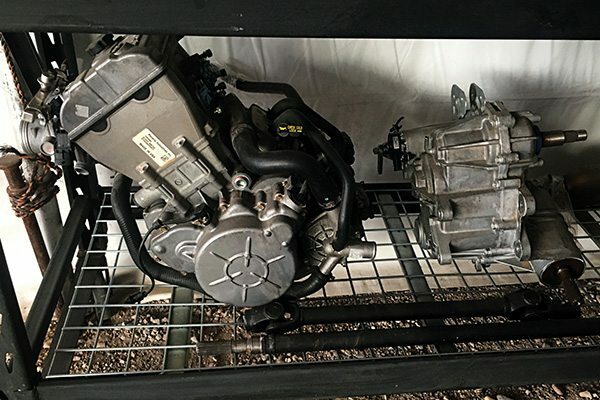 M&M Powersports & Marine sells used, low-hour engines for PWCs and UTVs, like this engine for a Polaris RZR. PSB: How has your business been since you entered into the UTV segment? M&M: We now have a lot more off-season sales and have seen a 20 percent increase in sales overall. We have also doubled the amount of business we can do with certain dealers and independent repair facilities — those that service both PWCs and UTVs. We have also been able to resume work with Polaris dealers, providing them with parts and purchasing their NOS. We haven’t been able to work with these dealers lately because Polaris stopped making PWCs in 2004. PSB: Can you talk more about your NOS (New Old Stock) parts that you carry? How can dealers purchase these parts? M&M: Our NOS UTV parts are sold on eBay, our e-commerce store on our website, as well as through our existing customer based of more than 3,000 dealers, independent repair facilities and private UTV owners. PSB: How much of your business is made up of UTV parts vs. PWC parts? M&M: Currently, the breakdown of our sales is 25 percent UTV parts and 75 percent PWC parts. We hope to increase our UTV parts to 50 percent very soon because the UTV market is one of the fastest growing markets in the powersports industry. M&M Powersports & Marine ships new, used and refurbished UTV and PWC parts worldwide from their warehouse in California. They also have an established national parts network to locate hard-to-find parts. PSB: Your company is based in California. How has your demographic changed since adding UTV parts? Are you still a worldwide supplier? M&M: Yes, we are based in California. We continue to sell parts nationwide and worldwide, but we are now targeting more of the southern U.S. market, as that is where the largest usage of UTVs is. 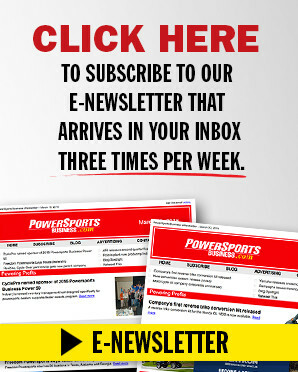 PSB: What message do you want to say for powersports dealers in need of parts? M&M: We want to let independent repair facilities and powersports dealers know that we provide one-stop shopping for all of their parts needed for repair of UTVs and PWCs — NOS parts, used parts and refurbished parts. Because of our low prices (50–70 percent of retail on NOS and 40–50 percent of retail on used and refurbished parts), we can help them complete their repairs for less and keep their customers happy. We pride ourselves on quick turnaround times for packing and shipping as well. PSB: What other benefits can you offer to powersports dealers? M&M: We are a resource for hard-to-find parts and we are very well connected within the industry and can help them locate nearly any part through our connections within our referral network of parts dealers, as well as through www.findmypart.com, of which we are a member. We also can purchase the dealers’ NOS, which helps them move older stock and make room for newer items. Right now we focus on purchasing NOS from California, Nevada and Arizona dealers where we can most easily pick up the inventory. Lastly, we can purchase used PWCs and UTVs that clients of the dealers want to sell, which then becomes salvage for us to pull parts from. The benefit to the dealer is this frees up the client to then purchase a new vehicle from the dealer.